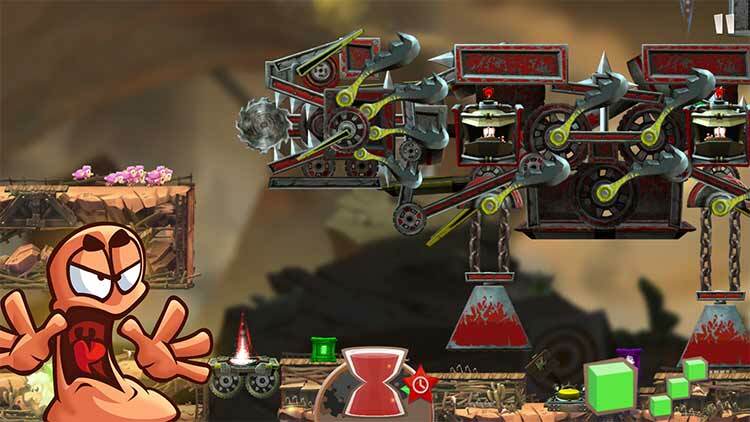 Save the Sheep by guiding them through crushers, giant buzz-saws, deep pits full of spikes and giant swinging meat cleavers. Help them escape their diabolical masters, or leave them to the Worms' diabolical traps and watch their insides explode all over the place. Like, everywhere. 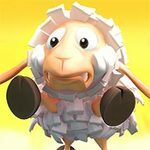 So, while Flockers might not have anything new to say with its gameplay, it works well as a spinoff of the Worms franchise, and I think it sells its cutesy, hyper-violent charm better than any recent Worms game. $2 is an easy price to justify for fifty challenging levels, each with multiple objectives to complete. 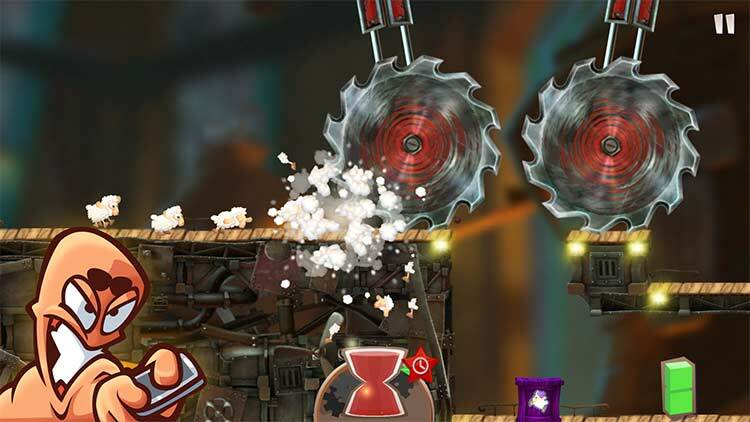 If you’re a fan of Worms or Lemmings, you’ll be happy to take the plunge. The app has amazing animations and the gameplay is both original and immersive. 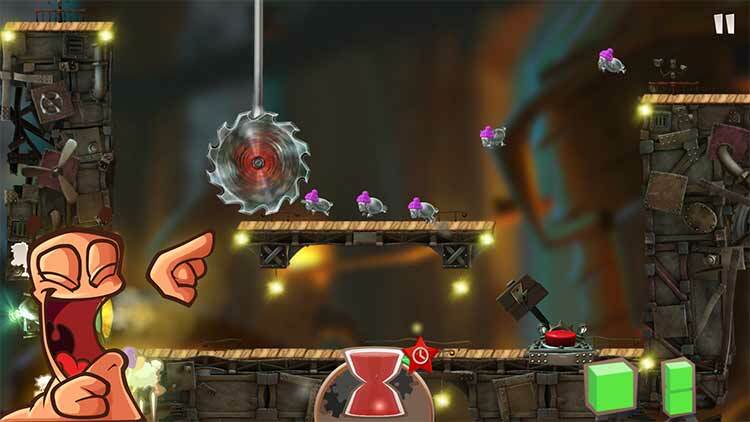 Plus, the characters are fun to watch and ready for action, the game ends up being quite entertaining. 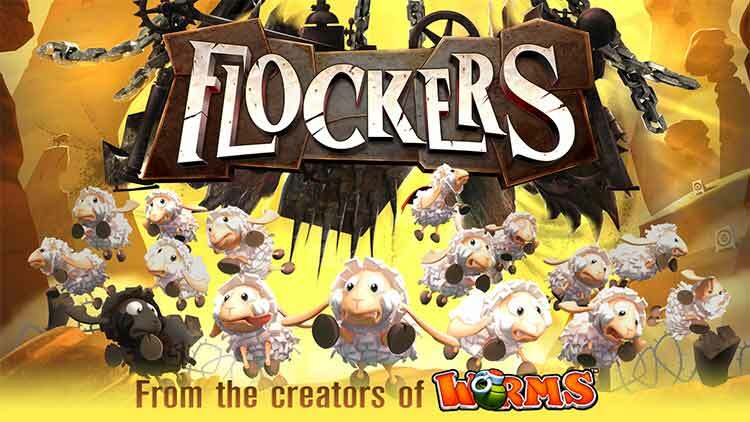 Generally, Flockers is a great adaptation of a great game. Cool graphics, violent dismemberment (it’s disabled by default, so hop into the options to enable gore), and lots of varied levels mean the game has everything you would expect to see. I should note that it’s only for the fans of this kind of action puzzle genre. It can be too tedious for some, or too fast for others, but it’s damn good if you’re into this sort of thing.